Do you seek a healthy romantic relationship, but continue to find yourself repeating the same negative behaviors that may have ended your relationships in the past? Have you already identified destructive patterns, yet continue to repeat them despite your desire for a strong and lasting romantic relationship? If so, you are not alone. 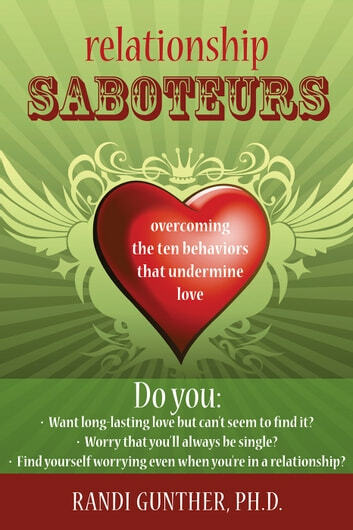 Relationship Saboteurs is an easy-to-follow guide that will help you identify and end your relationship-destroying tendencies once and for all. The book explores the ten most common relationship-undermining behaviors and shows you how to overcome them. By understanding and addressing the patterns that erode romance, you can learn to stop sabotaging your love life and prepare yourself for the healthy romantic relationship you deserve.